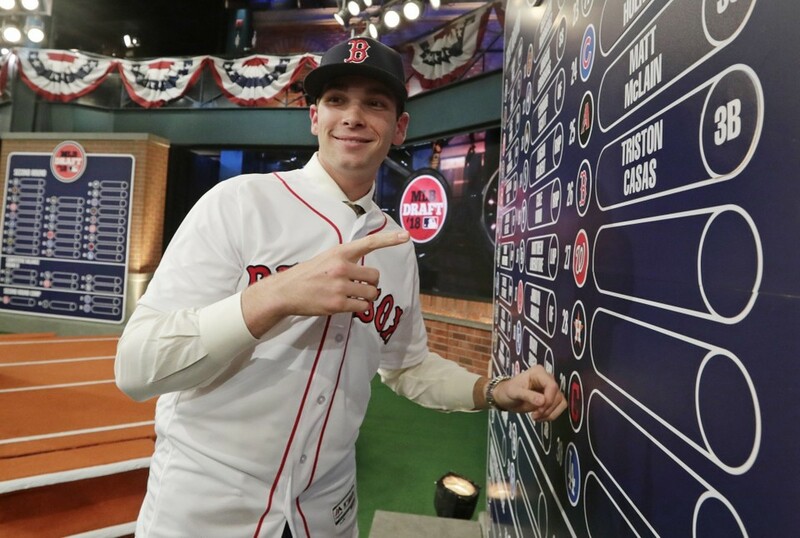 Multiple reports indicate that the Red Sox have come to terms with their first-round draft pick Triston Casas. The 18-year old 3B/1B will sign a bonus offer of $2,552,800—the full "slot value" for the 26th pick in the 2018 MLB Draft. With the signing, Casas will forgo his previous commitment to attend the University Of Miami, and be assigned to the Red Sox minor-league system. The deal is contingent on Casas passing a physical. While he was drafted by Boston as a third-baseman, most talent evaluators see him as a first-baseman in the long-term. When he visited Fenway Park, Casas seemed eager to call it his home, saying, "I feel like the park suits my swing well, and hopefully I get up to the big-league club soon and make an impact." Indeed.